Fill an expanse of wall with a traditional holiday decoration that has style and substance. 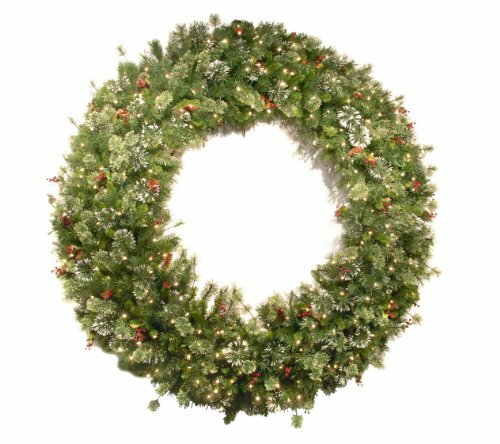 This pre-lit Wintry Pine wreath features, mixed branch tips, pine cones, red berries an snowflakes. And at 6 feet in diameter, you'll share the holiday spirit for all to see.